You’re finishing up that last piece of work, racing towards the deadline, pixels away from that “submit” button — then boom! 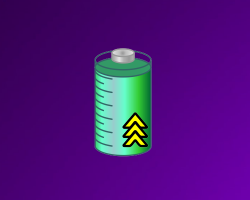 Your battery dies. We’ve all experienced that frustration before, and we’re offering an easy solution: Chunky Battery! This is a handy Windows gadget that can be placed wherever you want on your desktop. 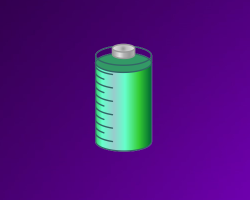 Conveniently have access to your computer battery’s current charging status. With a simple glance, find out if your battery is charging, discharging, or full. Its easy-to-read and attractive design ensures that you’ll never misunderstand your battery level, and it’ll never look out of place alongside your desktop theme. Say goodbye to battery mishaps with Chunky Battery!